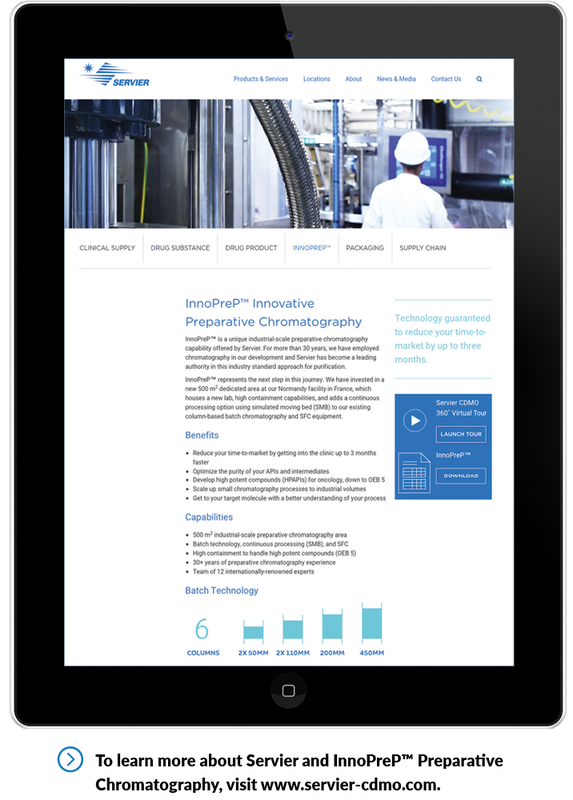 A pharmaceutical manufacturer with 60 years of experience creates a technology brand for its preparative chromatography capability, offering purification at volume as part of its contract development and manufacturing business. Servier is a global pharmaceutical company that has commercialized over 50 products in its six decades of experience, producing therapies that have treated 94 million patients worldwide. From a truly global manufacturing footprint, including drug substance and drug product facilities, it distributes to 148 countries and produces 2.7 billion units per year. Servier is an independent company with its roots in non-profit-driven research and a commitment to therapeutic progress. Today, its turnover exceeds €4B, and its position of independence supports a commitment to reinvest 25% of revenue (excluding generics) into R&D. For 30 years — around half of the company’s history — Servier has been building, using and growing unique expertise in preparative chromatography. Employing this exceptional purification technology at its Normandy facility in France, with batch chromatography at small and large scales, it was actually the service at the core of the first third-party client project when Servier began offering contract development and manufacturing services in 2016. 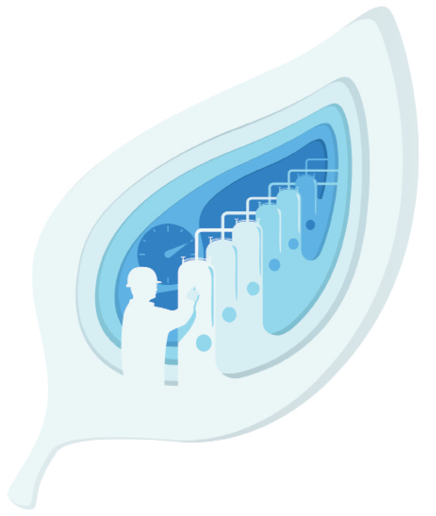 With its recognition as a highly desirable method of purification for APIs and intermediates, and with Servier having grown a globally renowned team of 12 experts who are regularly invited to speak on the subject at events worldwide, the company made a decision to invest in expanded capacity and specialization and to create a trademarked brand for its technology and approach. The result of this is InnoPreP™. Innovators seeking a partner to take their molecule forward have the option of pure-play CDMOs or pharma companies that offer contract development and manufacturing to bring efficiency to their infrastructure footprint while perhaps engaging with other innovators. The attraction of the “embedded CDMO” is the ability to tap into a big player’s unique expertise and the reassurance of its long-term experience developing its own molecules, along with stability. Servier established its CDMO offering as a standalone business in 2016, but this year it has been repositioned back under the corporate umbrella —with the same benefits to outside partners. 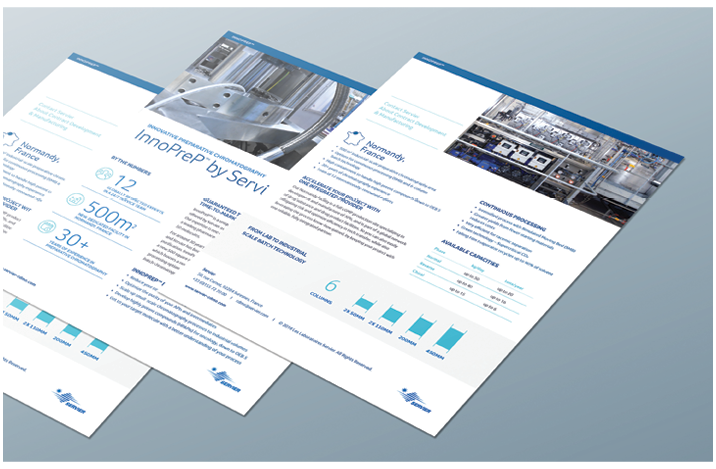 Reflecting Servier’s culture to invest back into development, the company took the decision in 2018 to build a new, dedicated 500-m2 area and to launch the InnoPreP™ Preparative Chromatography offering. This will house the batch chromatography using the existing column technology equipment, but it will also feature a new dedicated lab, continuous processing using simulated moving bed (SMB) technology, and high-containment capabilities that will enable Servier to handle highly potent compounds down to OEB5. This further differentiates Servier, as virtually nobody else has this capability at industrial volumes, combined with flexibility to work with companies seeking to get their molecule moving very quickly and be first into the clinic. 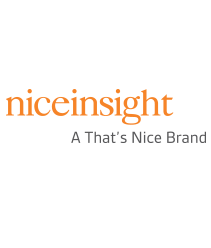 It was a driver for the decision to position it as a trademarked halo technology offering, which will possibly be followed, in time, by other similar branded service approaches that offer unique benefits to clients. 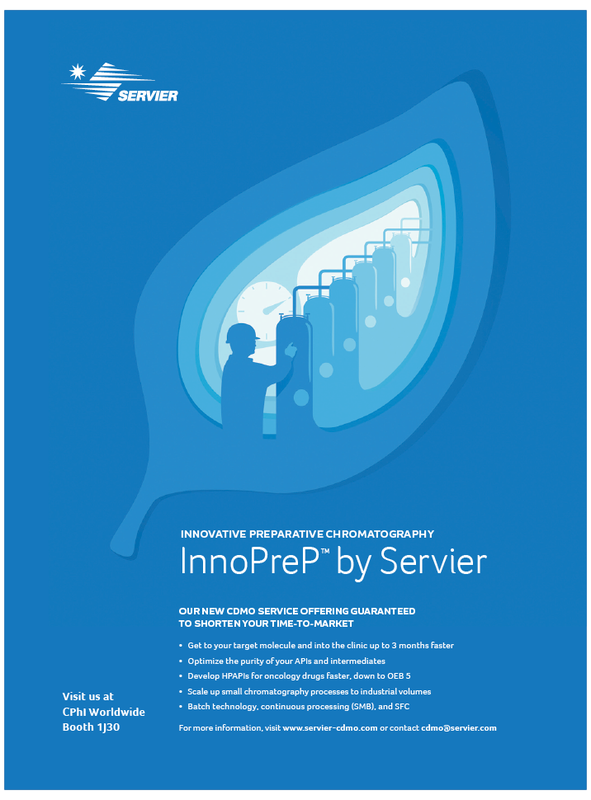 The InnoPrep™ positioning was developed through a strategic process looking at market conditions, audience needs and Servier’s offering and strengths, and launch of the brand with supporting materials was planned for CPhI Worldwide in October 2018. Materials will support Servier’s objective to share with the market the opportunity that InnoPreP™ presents for companies to reduce their time to market by a significant number of months, increase the purity of their compound, develop HPAPIs down to OEB5 and better understand their process to inform their overall development — especially in terms of the impurities. pharmas who want or need to move their project forward quickly to get into clinical studies ahead of others — and who doesn’t? But it also appeals to another group within the overall segmentation that are targets. As mentioned above, Servier stands virtually alone in the uniqueness of this offering at industrial volumes, but there are smaller companies that have the technology at a non-industrial scale. And they need to scale-up, which is where Servier’s new offering is perfectly positioned for them. The Normandy facility is also a full cGMP production site specializing in development and manufacture of APIs, and is part of an extensive global network of drug substance and drug product facilities. So a further attraction on both sides for InnoPreP™ is the ease and efficiency in tech transfer, mitigating risk and leveraging direct process expertise by keeping the project with a reliable, single-source partner. 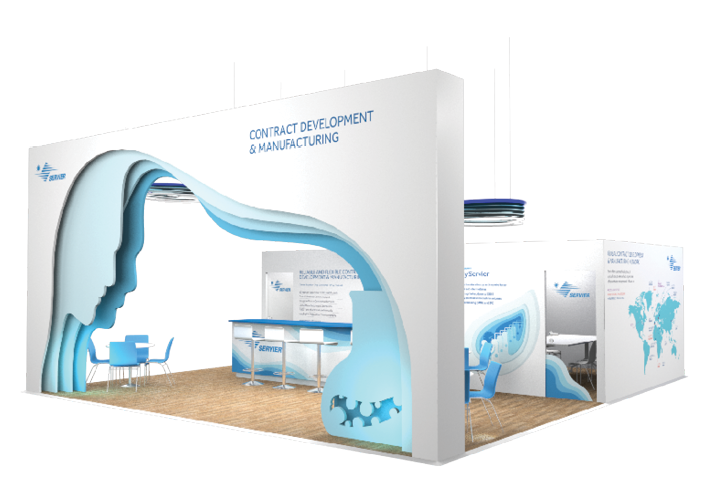 offering and strengths, and launch of the brand with supporting materials was planned for CPhI Worldwide in October 2018.